This fluffy kitty tries to lay down and take a nap, but then his snuggle buddy starts licking her ear! The chocolate labrador starts smothering the cat in kisses, and it’s the sweetest thing to watch. These two are just adorable together – you can tell they really love each other! What a perfect little moment, we just love this. 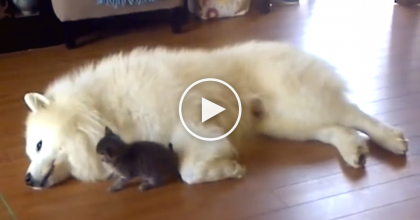 These two are so cute together—SHARE this video with your friends! 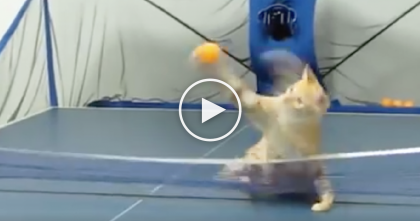 When This Kitten Jumps On The Pingpong Table… Just Watch What He Does, WOW. 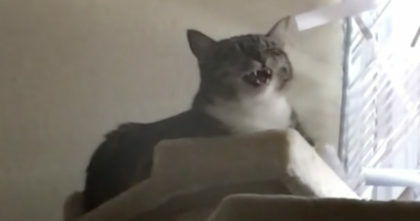 She sneezes, “Achoo” around her cat, but when he hears the sound… Now listen how the cat responds. 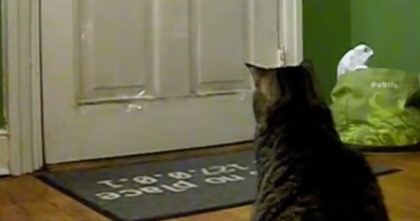 Cat Waits Every Day At 12:00, But Just Wait Till You See The Reason Why… This Is Unbelievable! 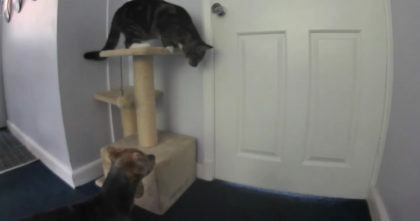 Doggie begs to go outside, but now watch what the cat does for him next… This is hilarious! !